I patterned & created the armor from scratch over the past few weeks. 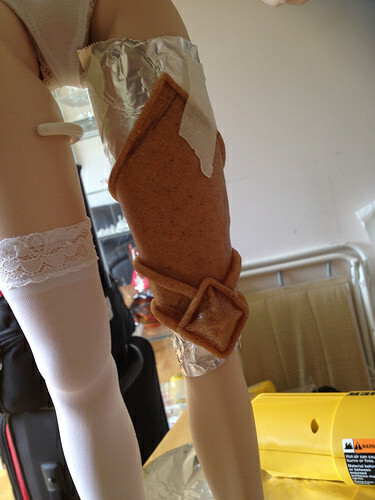 Everything was made to fit the DDdy3 body perfectly but still have flexibility to move & pose the doll. There are a few things I want to edit (the way the skirt hangs bugs me and the white sleeves aren’t puffy enough >_<“) and I do plan on making her shield & halberd later this summer. 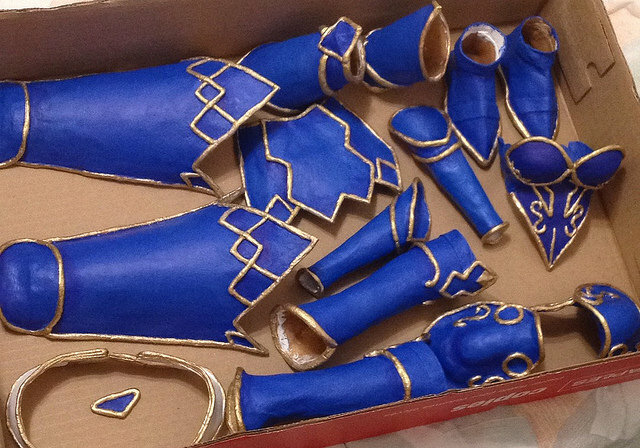 The armor is made using Worbla. 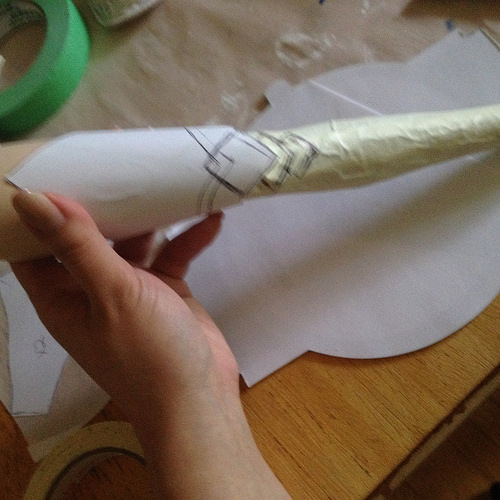 Worbla looks like this before priming. It’s a thermoplastic that’s infused with glue so it bonds to itself. I didn’t need to use any kind of special adhesives. Everything was then painted with Vallejo acrylic model paints. (The same stuff Volks recommends for their model kits and Chara-gumin kits now). I like that it’s water-based & non-toxic, and extemely pigmented. Sometimes one coat was all I needed for complete coverage, which is amazing. With craft store paints I always need 2-3 coats! I was working on a deadline so not waiting for paint to dry was really helpful. 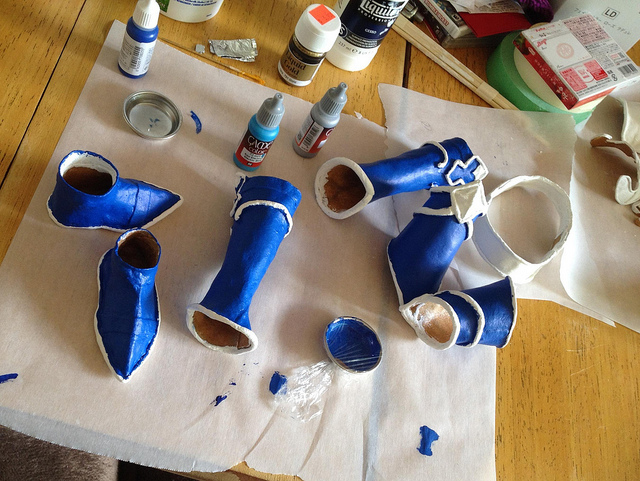 Vallejo doesn’t make the exact blue I needed for most of the armor so I had to mix small batches at a time as I went. 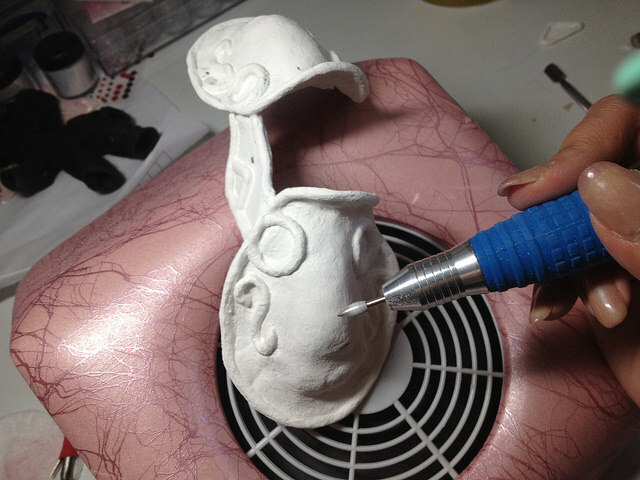 Since the paint dispenses in drops it was quite easy to measure out what I needed. I used their Liquid Gold paint to get the beautiful metallic finish. It’s a non-toxic alcohol based paint that required constant stirring to keep the pigment particles in suspension but I’ve never found a more beautiful gold paint! 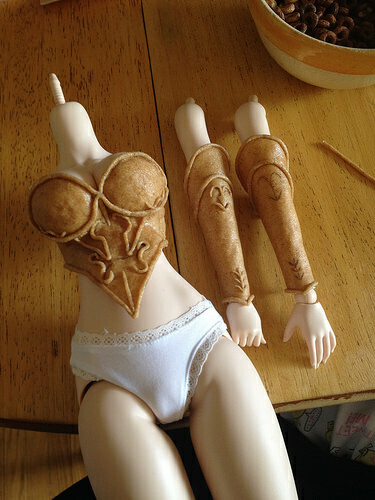 Here are all the armor pieces – everything is separate because I wanted the doll to still be able to move and pose. Special thank yous to Puppy52 (chun) for helping me find the perfect fabric to use for the bodysuit & to xoHimitsuox for reference pics of the back of the armor and the late night motivation! 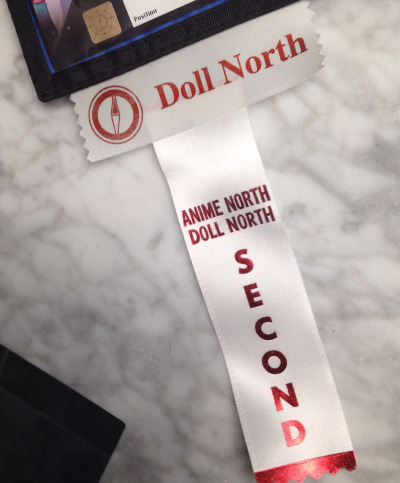 I’m so pleased to have won 2nd place in the 1:3 category at the Doll North doll masquerade yesterday! (1st place went to a beautiful recreation of Sesshoumarou from Inuyasha.) I wasn’t expecting to win anything – I just wanted to show her off and spread the Dollfie Dream love! Congrats to Archangeli on the win and many thanks for sharing her work with us!